Dowse Family Lounge - Design and Install. 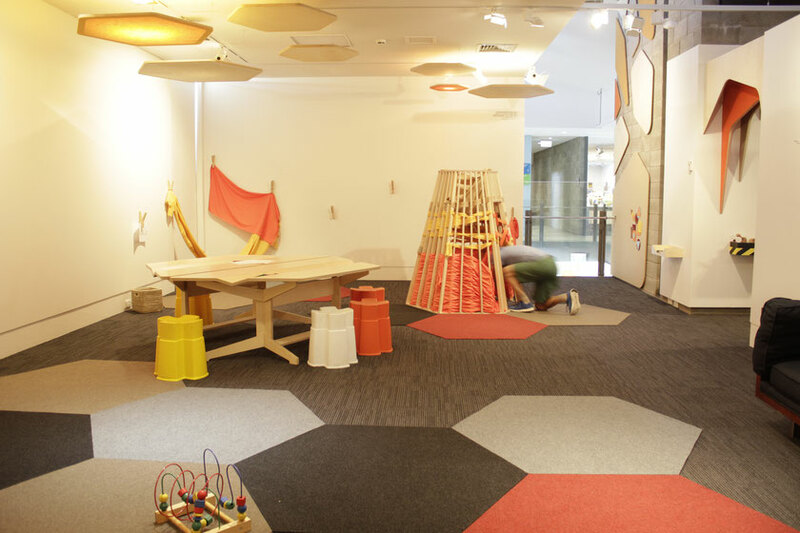 Having worked at the Dowse as their exhibition designer in the past, I was chuffed when myself and the design team at Designtree were asked to re-imagine a new space for family activities and learning focused fun. We worked closely with the team at the Dowse, designing a space that was based on the idea of the beehive; buzzing and engaging, but also warm, quiet and safe.